SUMMARY: much punditry has already been expended arguing that while the Barack and Michelle Show was a huge ratings success with the Euro public and media, “not much was accomplished”. Nonsense, we’d argue, if you take even a medium-term look at what happened. Basically, Obama and the First Lady put “good will” money in the bank which, for the first time in years, gives the USG a chance to bring friends and allies along on difficult issues and decisions in ways which don’t alienate their voters at home. And in his speech to the Turks, pointedly introduced by their president as Barack Hussein Obama, he declared in such a way as possibly to be believed, that the US is not at war with Islam. If Obama carries out his expected, and much anticipated “home visit” to Indonesia later this year, he will get a chance to re-build several bridges, including to world Islam, to SE Asia, to ASEAN, et al. News today of a related subject…Iran, its nuclear program, and what Obama’s policy/strategy will be, once the internal review is completed. A “leading indicator”…Sec. St. Clinton’s announcement today the US “from now on” will join the UN’s “Perm-5+1” meetings with Iran. It’s always difficult to parse the good cop/bad cop tactics used on Iran, given the possibility of Israel concluding it can wait for a deal no longer, and so must try to knock-out the nuclear program with bombs. The Obama folks have been somewhat confusing on any US backing for such a risky move…Gen. Petraeus warning that Israel might have to, but VP Biden very clearly saying it would be “ill-advised” for new Prime Minister Netanyahu to do that. Not un-related to the Iran conundrum, of course, is N. Korea, and we’ve been presenting useful OpEds all week. Tonight we hear from the Stanford Shorenstein Center’s Dan Sneider, summing up what we think is an emerging consensus…the missile test shows weakness, let the DPRK leadership come to us…stop trying to find the right bribe price to get what Kim and the boys are not going to give. IRAN…as noted, the Obama policy review on Iran is almost completed, sources say, so don’t get too many hopes up just yet to Sec. State Hillary Clinton’s announcement that the US will, “from now on”, be full partners in the UN “Perm-5+1” negotiations with Iran. President Bush authorized the occasional direct participation, starting last year, but today’s announcement clearly sets a new tone, and a commitment to a peaceful resolution which often was doubted, given the rumblings from VP Cheney, and his neo-con allies, about perhaps needing to bomb Iran soon. UnderSec Bill Burns today joined a Perm-5+1 meeting to personally convey the shift in tactics, if not policy…that remains to be seen. Even before the announcement, President Amadinejad, facing what may be increasing opposition to his re-election in June, said he welcomes an “honest…hand extended”…and said so on national TV. Official word will apparently be conveyed via an invitation to resume talks delivered by EU foreign policy chief Javier Solana, who added that his group welcomed what he called the “new direction” of the US, under Obama. So things are looking great, right? Experts point out that the Iranians detest Solana, so that’s a problem up front. And recent “we have to bomb” statements by Israeli hard-liners, now on the ascendency with the return of arch hard-liner Bibi Netanyahu as Prime Minister, have re-opened concerns here that for reasons which are perfectly understandable, Israeli patience with Iran has a much, much shorter fuse than either the US or Europe. For Israel, the chance that Iran is about to achieve actual, literal bomb-production capacity is strategically an intolerable risk, at least with the current Iranian regime and its posture on Israel. CENTCOM commander Gen. David Petraeus was trying, if unartfully, to convey that concern with his testimony to Senate Armed Services last week that Israel may indeed decide to attack. Some experts say the debate within the Obama Administration (to the extent policy-makers are in place) has asked whether the Israeli threats give the US (and the Perm-5 process) useful “leverage” in future negotiations. Perhaps, but with Iranian elections coming soon, any such talk (much less an attack!) is seen here as likely reinforcing Iranian hard-liners and support for the egregious Amadinejad. Petraeus’ remarks were seen as “unartful”, rather than a pure expression of Obama policy, because he neglected (or forgot?) to add the required comment that the US either opposes Israeli airstrikes, or worries about the blow-back. A sense of the “flavor” of the on-going Obama internal debate can be had, however, by noting Gary and Jim’s reminders that last Fall, Secretary Clinton’s newly minted special advisor on Iran, Dennis Ross, warned that “if the international community appears unable to stop Iran’s nuclear progress, Israel may decide to act unilaterally. Please note, this is not Ross endorsing such a move, just pointing out the obvious. Still, it feeds the overall good cop/bad cop parsing game. Similarly, Porter and Lobe remind, the new White House coordinator on WMD, Gary Samore, and the new Undersec/Def Ash Carter, told a Harvard forum last Fall that while the dangers of an Israeli action are clear, there may be utility in the US using that threat for negotiating leverage. The point, again, is that these new Obama officials are NOT arguing to justify an Israel action…they ARE pointing out that at a certain point which Israel must define, not anyone else, Israel will face a possible life or death choice. Obama has decided to directly and consistently engage Iran on nukes, in hopes of at the very least calming Israeli fears for the time being, while the “international community” works to come up with a deal acceptable to Tehran. If ANY real “leverage” exists with Beijing, that might be it. To sum up in a non-policy way, we detect a big case of “DPRK Fatigue” setting in. TOO much “drama queen”, too LITTLE positive action. OK, they dismantled Yongbyon, but…they had already extracted all the PU needed for a dozen weapons, and smack in the middle of the 6 Party process they sold a nuclear plant to Syria! Obama team debates stance on Israeli attack threat. A recent statement by the chief of the U.S. Central Command (CENTCOM), Gen. David Petraeus, that Israel may decide to attack Iranian nuclear sites has been followed by indications of a debate within the Barack Obama administration on whether Israel’s repeated threats to carry out such a strike should be used to gain leverage in future negotiations with Tehran. His remarks suggested that any proposal to exploit the threat of an Israeli attack as part of a “good cop, bad cop” tactic with Iran would run into stiff opposition within the administration, since it would rest on the credibility that the threat was real and that the U.S. would not actively oppose its being carried out. Petraeus invoked the possibility of an Israeli attack in prepared testimony before the Senate Armed Services Committee last Wednesday. “The Israeli government may ultimately see itself as so threatened by the prospect of an Iranian nuclear weapon that it would take pre-emptive military action to derail or delay it,” he asserted. In contrast to past statements by U.S. officials on the issue, he added nothing to indicate that Washington would oppose such an attack or was concerned about its consequences. Moreover, a CENTCOM spokesman later told IPS that Petraeus’ testimony had been reviewed in advance by the Office of the Secretary of Defence (OSD), suggesting that brandishing of the Israeli threat had the approval of Pentagon chief Robert Gates. But the Pentagon now appears to be backing away from the Petraeus statement. In an email message to IPS, Lt. Col. Mark Wright, an OSD press officer declined to confirm or deny that Petraeus’s statement had been reviewed by his office. Wright insisted that it “would be inappropriate to characterise the General’s view on this from the Pentagon” and referred the question back to CENTCOM. Within 24 hours, however, the chairman of the Joint Chiefs of Staff (JCS), Adm. Michael Mullen, like Biden several days later, reiterated his own publicly stated reservations about any such Israeli action in a meeting with the Wall Street Journal’s neo-conservative editorial board Apr. 2. While conceding that the Israeli leadership “is not going to tolerate” a nuclear Iran and that its military could inflict serious damage on Iran’s nuclear programme, Mullen also warned that such an attack would pose “exceptionally high risks” to U.S. interests in the region, according to a record of the interview quoted to IPS by Mullen’s office. In an editorial about the meeting published Monday, the Journal stressed that Mullen understood that Tehran’s nuclear ambitions were “a matter of ‘life or death’ for the Jewish state” and downplayed the threat to the U.S. The issue of how to handle the Israeli threat to attack Iran has been made more urgent by the installation of a far-right government led by Likud Party chief Binyamin Netanyahu, who has been particularly hawkish on Tehran and deeply sceptical that Obama’s diplomatic engagement with Iran will yield acceptable results before Israel’s “red lines” are crossed. Israeli officials have called on the U.S. to strictly limit the amount of time it will devote to its diplomatic effort before resorting to punitive measures, a demand echoed by key U.S. lawmakers – Democrats, as well as Republicans – who are considered close to the so-called ‘Israel Lobby’ here. Some administration officials had embraced the brandishing of the threat of an Israeli attack on Iran as a means of exerting pressure on Iran even before they joined the Obama administration. Both Gary Samore, the new White House co-ordinator on weapons of mass destruction, and Ashton Carter, now under secretary of defence for acquisition, technology and logistics, expressed support for a diplomatic strategy of exploiting the Israeli military threat to Iran at a forum at Harvard University’s Kennedy School last September. That danger is particularly acute with Netanyahu’s accession to power, because he represents Israeli political and military circles that hold most firmly to the idea that Iran’s enrichment program poses an “existential threat” to Israel, a view reportedly also shared by his defence minister, Labour Party leader Ehud Barak. According to the New York Times’ David Sanger, President George W. Bush last year rejected a request from then-Prime Minister Ehud Olmert for over- flight rights and other support needed to attack Iran. Mullen was then sent to Israel to personally convey Washington’s opposition to such an attack. It was on his return that he made that opposition public. In the end, Olmert apparently decided against taking any action without a green light from Washington. But, much as Samore anticipated, the new government is widely regarded as more likely to act unilaterally. 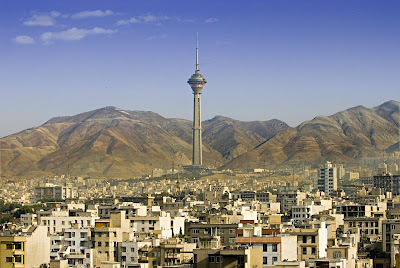 Located between Gisha and Shahrak-e Gharb (Shahrak-e Qods), the Milad Tower dominates the Tehran skyline. Photo/YoungRobV. Tehran should be prepared in case of a natural disaster. Tehran sits on a very active seismic plate with three major fault lines surrounding the city on three fronts; there are also as many as 100 other fault lines crisscrossing the city. Many experts have likened Tehran to a time bomb. A major earthquake in the city is not a matter of “if,” but “when.” An earthquake is bound to happen and when it does the consequences will be grave, not only for residents of Tehran, but every province in Iran, as well as the country’s borders. Managing the problems of a large metropolis, be it London, New York, or our capital, is a herculean task and has a heroic dimension to it, bestowing fame and political capital upon the likes of Rudy Giuliani and Ken Livingstone. The same has been true about Tehran’s mayoralty. Over the years it has played a very influential role in Iranian politics, as seen with the rise of Mahmoud Ahmadinejad, who used the post as a stepping stone to the Iranian presidency. However, with the exception of a few (among them Gholamhossein Karbaschi), Tehran’s mayors have all made the same fundamental mistake of trying to run the city applying micromanagement strategies and methods. This micromanaged stewardship, exacerbated by the hazards of a large socioeconomic gap, slum dwelling, costly maintenance, and enforcement difficulties, to name just a few, have made Tehran a much vulnerable city. It is not possible to prevent an earthquake from happening, but proper management in the form of preparedness and mitigation planning for the city can considerably reduce the effects of one. This is where macro-management strategies and policies become important. Natural hazards such as earthquakes are not a disaster on their own, but rather the triggering event that will wreak havoc upon a vulnerable city. The vulnerabilities come at three levels: The first is the underlying factor, poverty. The second is dynamic factors such as rapid urbanization, poor management, etc. And last, the aggregate effects of those two factors upon poorly constructed buildings, housing on slopes and other unsafe conditions. But for years, the issues of disaster management and disaster planning have been ignored in Tehran, most probably because with the micro-managerial state of mind of recent Tehran mayors, the task is impossible to achieve. However from a macro-management point of view, not only are such risk-reduction strategies feasible, but highly cost justifiable. I must reiterate: In the status quo, the effects of an earthquake in Tehran will be highly disastrous. Casualties will number in the thousands. The infrastructure, not only in Tehran, but throughout the country, will be so gravel it will take decades, if not a century, to recover from it. I don’t want to exaggerate, but the risk is too real, too horrifying. I would suggest interested readers to look at similar cases around the world, especially the earthquake in Mexico City in 1985 and the Sichuan earthquake of 2008. Fifty years ago, Greco-Roman style wrestling was the favorite sport of Iranians. Over the years, however, football has replaced wrestling as the most watched and played sport in Iran. For many football matches are the most important TV event of the week. For others still, the results of a football match are much more important than, say, who the next president is going to be. In Iran football is more than a sport or passion; it is, quite literally, an obsession. Perhaps you have to be Brazilian to understand. For me, it all started with the two football clubs: Persepolis and Esteghlal. In school you had to be a fan of one. If you weren’t interested, you were left out and picked on. So as is the tradition in my family, I became a Perspolisi, a fan of Persepolis, or one of the Reds. (The Esteghlalis are the Blues.) Almost all of my fights in school were related to football. At every recess, we were divided into two teams, the Reds and the Blues. We played football until we were called back to class. Even when following a fight the headmaster confiscated our football, we played with a stone! It usually took an injury, such as a broken tooth, for our headmaster to be persuaded to return our ball. The Esteghlal and Persepolis football clubs have dominated the Iranian football league for decades. Even when they haven’t been league champions, they have been the most followed. These two teams have very large fan bases; in fact, it has been suggested that Persepolis has the largest fan base in all of Asia. Both teams were founded in the pre-revolutionary era to represent the capital Tehran in the national league. Esteghlal used to be called Taj, or crown, but with the revolution all symbols of the monarchy were abandoned and the club was renamed Esteghlal, meaning independence. Persepolis was also changed to Piruzi, meaning victory but, the fans continued to call the club Persepolis — a rare manifestation of defiance in the Islamic Republic. The clubs play in Azadi stadium, which can hold 100,000 people. It is one of the largest stadiums in the world, and certainly one of the most monumental. Thousands flock from all corners of the country for the popular Tehran derby, where Persepolis and Esteghlal face-off. The rivalry between these teams is like that of Barcelona and Real Madrid, or Juventus and Inter Milan. Fans are willing to endure just about anything: hours in long queues, camping outside the stadium overnight, enduring unsanitary facilities, among many other inconveniences. I have never watched the derby up-close myself, but each time younger members of my extended family gather at my aunt’s to watch the match, it is the greatest family event of the year, even bigger than Nowruz. In recent years the match has become boring — suspiciously so. Games end predictably in a draw, as if ordered by authorities. Perhaps they are concerned that the fanatic supporters of the losing team will tear apart not only the stadium, but the whole city. Even when the match ends in a draw, hundreds of buses are vandalized and thousands of seats in the stadium are ripped apart. As I was growing up, Iranian state television began to broadcast European football matches. It was the safest form of programming, with little or no need for editing or censorship. As a result, my generation avidly followed European football clubs. I favored the Italian club, Juventus, and my brother Bayern Munich. We even became passionate fans of foreign national teams. I have always been a strong follower of Germany’s national team, while many in my family are strong fans of either Italy or Brazil. Our obsession however remains with Iran’s national football team. Our greatest source of pride is its success, our greatest despair its loss. I’ll never forget the historic match between Iran and Australia in the 1998 World Cup qualifier in Melbourne. I was just 14 then. Iran was down by two goals when Karim Bagheri and Khodad Azizi scored two goals. The tie, plus the previous one all draw in Tehran, meant that we were on our way to the World Cup finals. I was so ecstatic, I couldn’t stop jumping up and down for an hour after the match was over. The walls in my room were suddenly filled with posters of the new national heroes. Since then I have rarely missed a national football game, but I have to admit, the games have never been the same. One match came close in 1998, the World Cup in France. The game was between Iran and the United States, the first ever public encounter between the two after the revolution. Iran won that game and the nation burst out in joy. Millions took to the streets and we celebrated throughout the night, dancing and singing. It was the first time the Islamic Republic had to deal with such crowds in the streets. Police tried to disperse the crowd, but they were outnumbered. We went on celebrating en masse, in definace of a many-year ban on such an act. Iran managed to make it to the World Cup finals once again after that, in the 2006 World Cup in Germany. The deciding game was between Iran and Bahrain. We won and again the streets were filled with young people celebrating the victory. 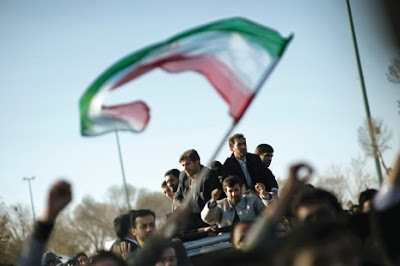 The victory coincided with the Iranian presidential elections, the one where Mahmoud Ahmadinejad became the president. As is custom around elections in Iran, the atmosphere was relaxed and the authorities used the celebrations to show freedom in the country. The victory over Bahrain had another significance: It was a victory over an Arab team, the very team whose win over Iran in the previous World Cup qualifiers had denied Iran the chance of qualifying, thus sending the Saudis to the final stages. No one has forgotten that the Bahrainis took a victory parade around the stadium holding the flag of Saudi Arabia. The rivalry between Iran and Saudi Arabia goes back many years. Iranians prefer to lose to South Korea (our other formidable Asian rival) by a six-goal margin than to lose or tie with Saudi Arabia. 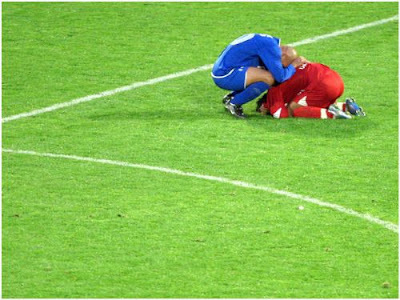 Our worst nightmare was realized during these Nowruz holidays when Iran lost to Saudi Arabia at Azadi stadium during the 2010 South African World Cup qualifying games. The loss means that Iran has very little chance of making it to the finals. Worse still, we lost to Saudi Arabia. And we lost in Tehran, before a home audience, with hundreds of thousands of fans watching. It is a bit like everything else that has gone wrong during the administration of Ahmadinejad: football has not been spared. Some superstitious people blame the defeat on Ahmadinejad’s presence in the stadium! Iran was ahead by one goal until he showed up, and then Saudi Arabia scored two goals. It was not the first time that Iran lost in Ahmadinejad’s presence. A few months ago, in the final World Cup match of Greco-Roman wrestling, everything was going well. Iran was ahead in the overall team score and needed only one last victory to become the world champions. Iran’s heavyweight champion, Fardin Masoumi, was ahead of his Azerbaijani rival, then Ahmadinejad showed up in the stadium. Masoumi lost the match and Iran lost the title. This is why many blame Ahmadinejad for the failures of Iranians in sports! To be fair, there may be some basis to this. Sports in Iran are a governmental affair. All of the major sporting clubs are run by the government and the whole thing is very political. Take Persepolis and Esteghlal. They are owned by the Iranian Sport Organization whose head is appointed by the president. The current chief of Iranian sports is a very controversial figure, Mohammad Aliabadi. He had no prior experience in sports or sport management before being appointed to the post. He is also head of the National Olympics Committee, which is banned under the Iranian constitution. His blunders and mismanagement have cost Iran much. In the Beijing Olympics, Iran’s performance was one of the worst in recent memory. Through his insistence, Iranian football hero, Ali Daei, who has a limited coaching background, became the coach of the national football team. On his watch, the national football team, which many argue now possesses more talent than any othr time in its history, is being eliminated in the World Cup qualifying stage. In the past year, FIFA threatened to ban Iran’s football federation from international competitions because of the government’s intervention in the sport. I think sports have come to symbolize many of the wrong choices Ahmadinejad has made for managerial posts in his administration over the past four years. Like almost every other sector, sports in Iran are in critical need of reform, reforms that a new president may be better suited to implement. I liked London. 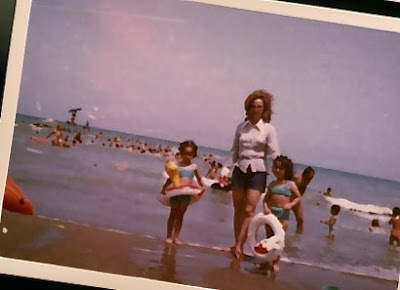 The summer preceding the Iranian revolution, we had holidayed there. It was a place of pale sunshine, big green parks and fancy restaurants. I fed the pigeons in Trafalgar Square and petted the goats in the children’s section of London Zoo. It was 1978, I was eight years old and oblivious to my country’s turbulent political problems. We were in London where my father had business and we were busy. More of my parents’ friends than ever were also there – part of the great exodus of the revolution that had already started. The adults were tuned into an Iranian radio station, listening to reports on the demonstrations that had taken over Iran. With each protest, the troops shot into the group, violence would follow and there would be fatalities. The dead would be buried and more demonstrations would follow to mark the ritual 40-day period of mourning. Each protest led to more fatalities and more protests, a chain of events that had stitched its way through the last few months in my country. By the time we got back home to Iran in September 1978, martial law had been imposed. My father worked for Iran’s national oil company and so we lived in Ahvaz, a town in the oil-rich west of the country. We returned from our London trip to a different world. Although my parents tried to protect us, the power cuts caused by the workers’ strikes and the rushing back from evening visits to beat the curfew had their effect. The violence that had taken the streets burst into our lives when three senior managers of the oil company were shot on their way to work. At school every day more of our friends would be missing – spirited away by their parents to fractured but safe lives in the west – and after school, we found ourselves restricted to playing indoors, the rooftops and streets we had roamed suddenly out of bounds. Our parents told us nothing but we, the neighbourhood kids, would gather on the street corner and exchange whatever information we had managed to glean from the adults who were trying so hard to shelter us from the storm. Every morning more of our neighbours would have disappeared, either stealing away in the night or being taken away by revolutionaries, never to be seen again. After the day we came home from school to find all the furniture in the front room pushed to one side away from the windows, we started living in the back of the house, moving the television into the back room. What I didn’t realise then was that a firebomb had been lobbed at our neighbour’s house that day and so we retreated. We had nothing to be ashamed of but fear taught us to hide and from then on, fear became part of the daily fabric of life and my constant companion. On television we watched the Shah and his family leave Iran and even us children, locked up in the house and not allowed to go to school, felt the wave of elation that swept the country at this immense victory, this historic moment. Shah raft – the Shah left! We were free, our country could finally be its own master, and justice, equality and freedom would prevail! On television I also watched Ayatollah Khomeini come back to Iran, greeted by a million jubilant followers. The next day on the street corner, we whispered his name to each other, us kids, and we all repeated the word that had shocked us all so much: asked what he felt on returning to his country after so many years in exile, he said he felt nothing. Nothing. For all the slogans of the revolution that we had taken to chanting when we managed to escape to the roof, holding our own version of the revolutionary demonstrations, this one word had such power that it obliterated all else. He felt nothing and soon, that was all we were left with. In June 1979, we arrived again in London, this time not for a holiday, but for life in exile. And this time, we were no longer the glamorous Iranians so generous with their petrodollars, courted by shop assistants, hoteliers and maitre d’s, but now we came from a country that had, in full view of the world, rejected what looked like affluence and modernity in order to shroud itself in black, burn the American flag and career backwards in time. Iran’s struggle for freedom had been televised across the world; my country had staged the first mass media revolution of the age and the stark images that characterised the upheaval – Khomeini’s turban and religious robes, the black all-enveloping chadors worn by women – were burnt on western minds. The hostage crisis and the film Not Without My Daughter cemented our image as crazed religious zealots who wanted to destroy the west and lock up women. My beautiful country where I had grown up in the midst of a loving extended family, where my ancestors had lived for 3,000 years and which had given the world not only peaches, chess and the word “paradise” but also its first declaration of human rights was reduced to these few unrepresentative images. It broke my heart. Kamin Mohammadi’s first book, a family memoir and modern history of Iran, is slated for publication in the spring of 2010.